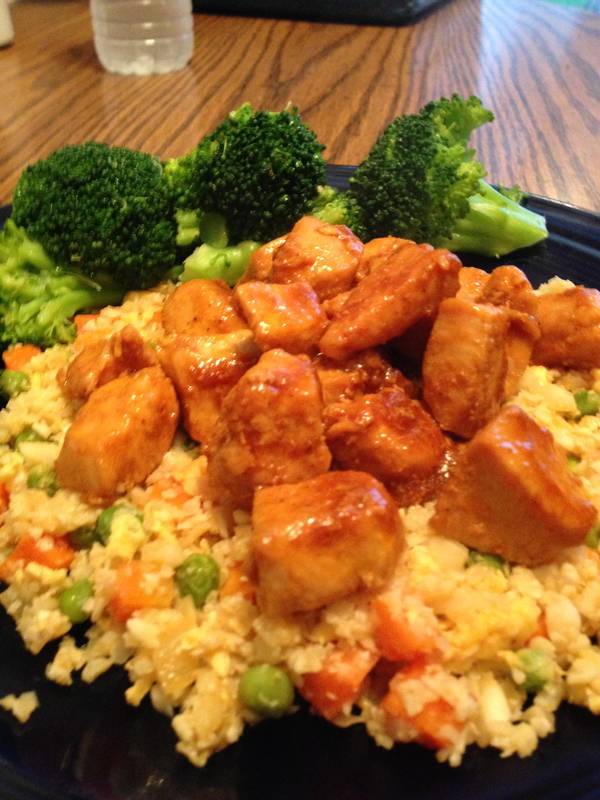 Be forewarned: this recipe for Orange Chicken is nothing like the Orange Chicken you get at the Chinese take out place. I don’t think one can replicate that without a hole-in-the-wall kitchen and lots of corn starch. 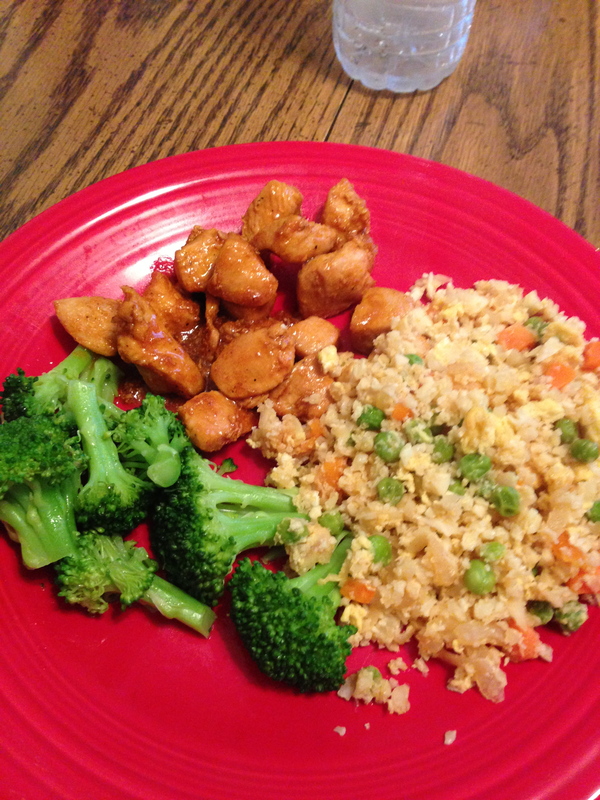 But it’s yummy in it’s own right and goes very well with the Chinese Fried Rice from earlier this month. 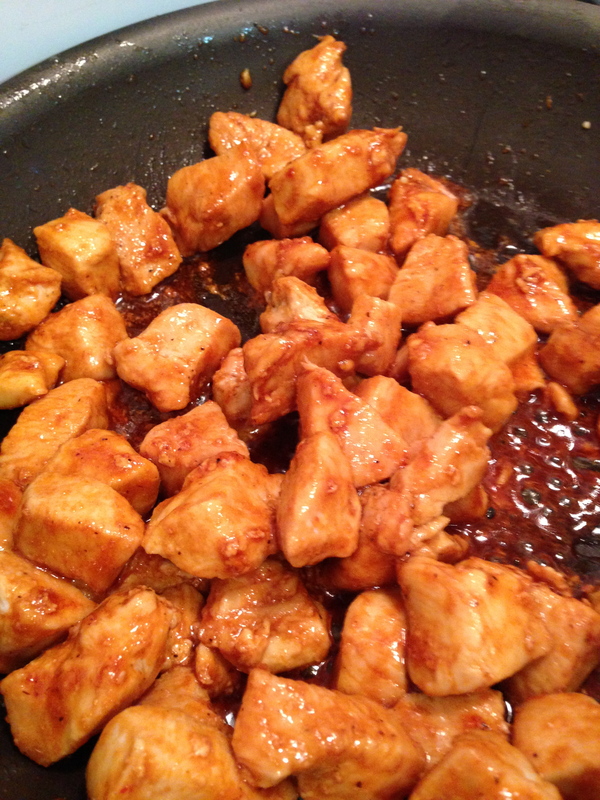 In a medium size sauce pot, add the orange juice, zest, ginger, coconut aminos and chili garlic sauce or sriracha. Set over medium heat and let simmer to reduce and thicken while the chicken cooks. In a saute pan, heat 3 T of the fat of your choice, over medium high heat. Add the chopped chicken breast and cook until a nice brown crust has developed on the chicken pieces. I have to drain the moisture off the chicken halfway through. 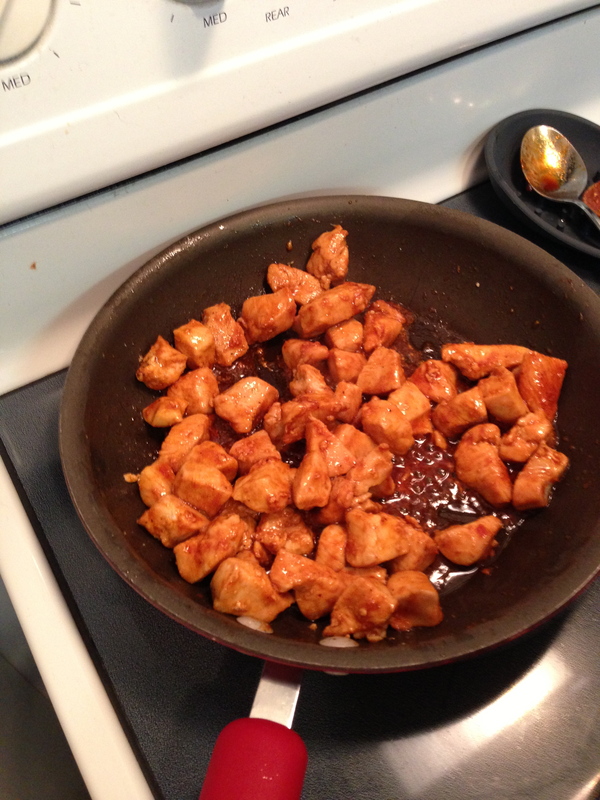 Add the chicken to the sauce pot and stir to coat with the orange sauce. *Taste your oranges. If they don’t taste orange-y, then neither will this dish. Use tangerines if you have them or add a little more orange zest.